Sony/ATV Music Publishing employees are working just as hard to benefit their communities as they do to benefit their songwriters. 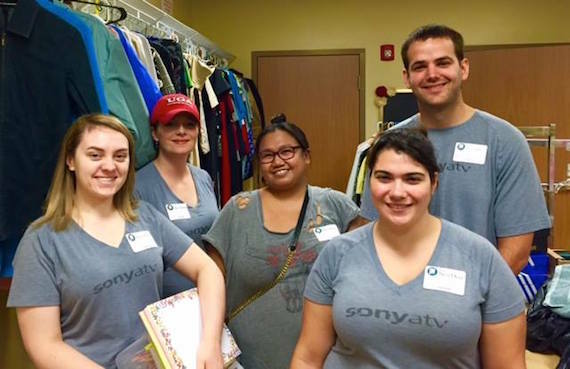 Over the past two weeks, 70 Sony/ATV Music Publishing employees volunteered nearly 300 service hours for six volunteer projects as part of Sony/ATV’s annual Community Outreach Weeks. 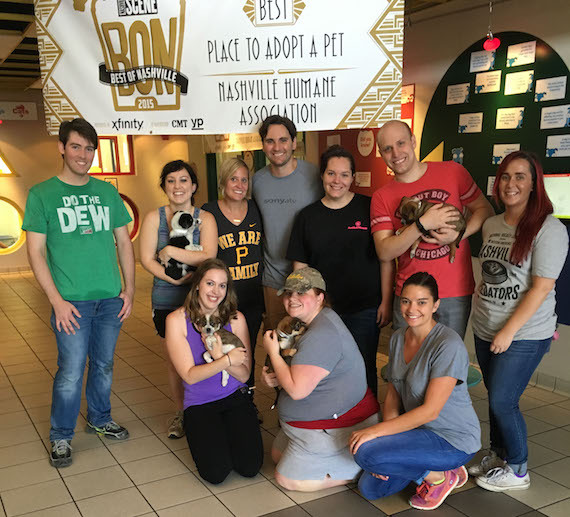 They worked with the Nashville Humane Association, which is committed to finding responsible homes, controlling pet overpopulation and promoting the humane treatment of animals. Sony/ATV staffers spent time playing with animals and bathing puppies. A few puppies were even adopted by some of the Sony/ATV volunteers. 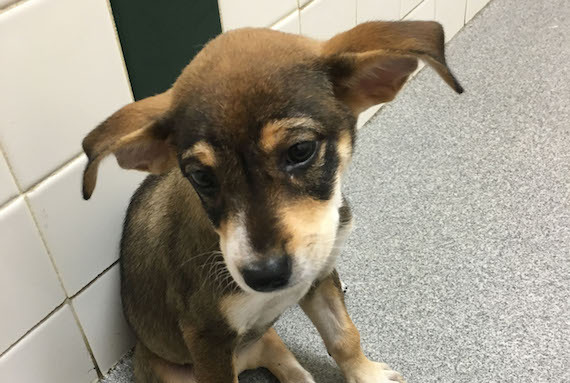 A puppy that was adopted from the Nashville Humane Association by Sony/ATV staffers. 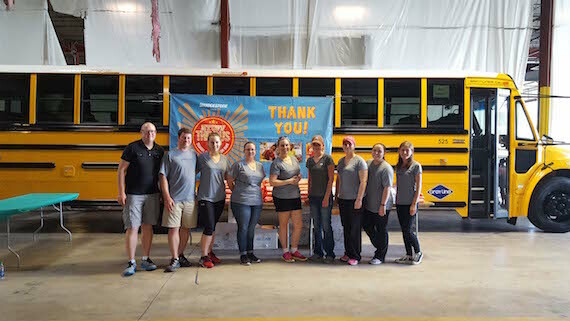 Staffers teamed with United Way’s Stuff The Bus Days of Action to help collect and distribute school supplies to at-risk children in the Nashville area. Sony/ATV staffers volunteer at United Way. They also worked with The Next Door, which provides services for women and families impacted by addiction, mental illness, trauma or incarceration. Sony/ATV staffers organized closets, made encouraging cards, and served lunch to women participating in the program. Sony/ATV staffers volunteer at The Next Door. 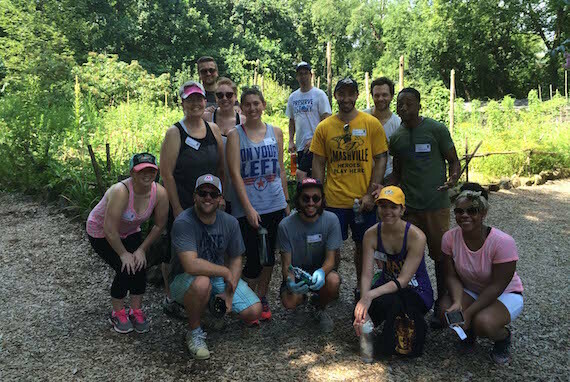 For Nashville’s Zoo at Grassmere, staffers worked with the horticulture staff to pull weeds and pick vegetables. The vegetables were later sorted and given to the animals to eat. Sony/ATV staffers volunteer at The Nashville Zoo. The Nashville Public Library recently launched the Studio NPL learning lab, which offers technology-driven learning environment for teens ages 12-18. Sony/ATV Staffers helped teens with photography, live instruments and music production. 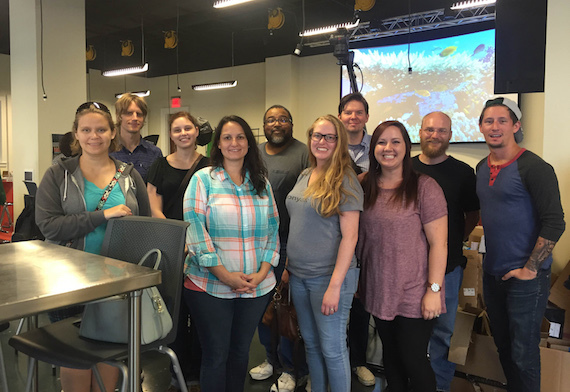 Sony/ATV staffers volunteer at the Nashville Public Library. Staffers worked with Cumberland River Compact, which aims to enhance the health of the Cumberland River and its tributaries. 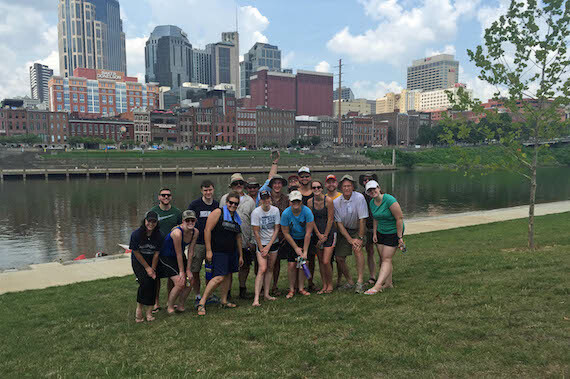 Staffers canoed down the Cumberland, picking up trash and helping to beautify the river. Sony/ATV staffers volunteer to help clean up the Cumberland River.